The Kali – Gandaki is the most accessible river from the trekking base of Pokhara. The dam built close to the confluence of the Andhi Khola has shortened the five-day trip. The maximum time spent on a river is now 3 days. The last two days were less interesting but certain sad losses result, a visit to Ridi village, Ranighat (an old abandoned palace that’s like something from an Indiana Jone’s movie set) and ‘Walk in the Dark’, a great class 4 that was a good finale to the trip. This river rises in Mustang, the bit of Nepal that sticks out into Tibet to the North. Before it reaches the put-in it passes between the mighty Dhaulagiri in the west and the Annapurna massif in the east. This gorge is more than 4 miles deep. Lower down at the put-in the river goes south and a great adventure begins. Distance Kathmandu:- Ramdighat 246 km. Best period:- October till December and from March till April. 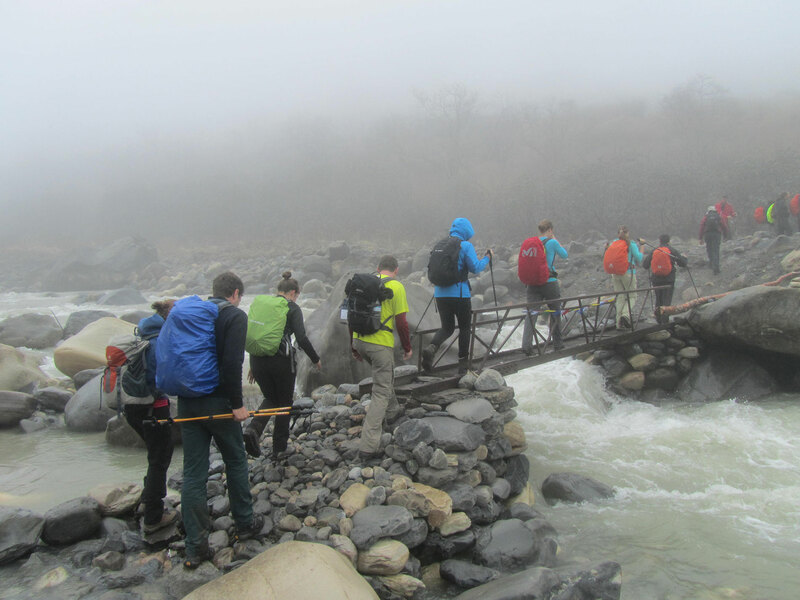 Day 1: Drive from Pokhara to put-in point, lunch and onto river, 2-3 hours of class 4 to camp just below Modi Khola. Day 2: Day of class 3 / 4 to just above Seti Beni village. Day 3: Seti Beni rapid & village, more class 3 / 4, take-out at confluence of Andhi Khola (dam) and bus to Pokhara arriving late afternoon.